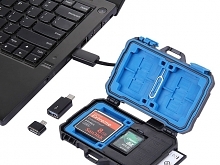 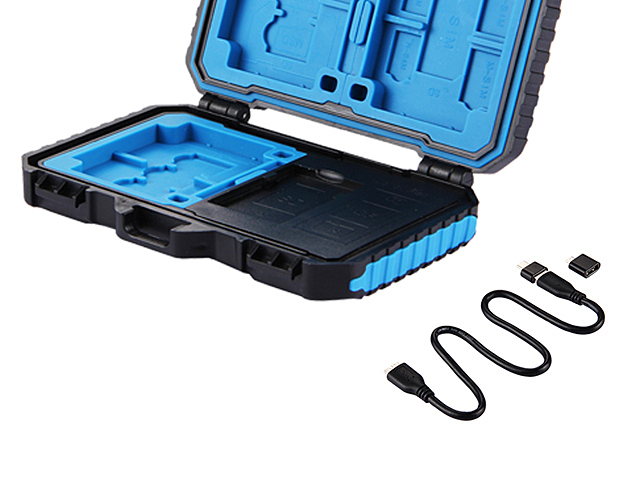 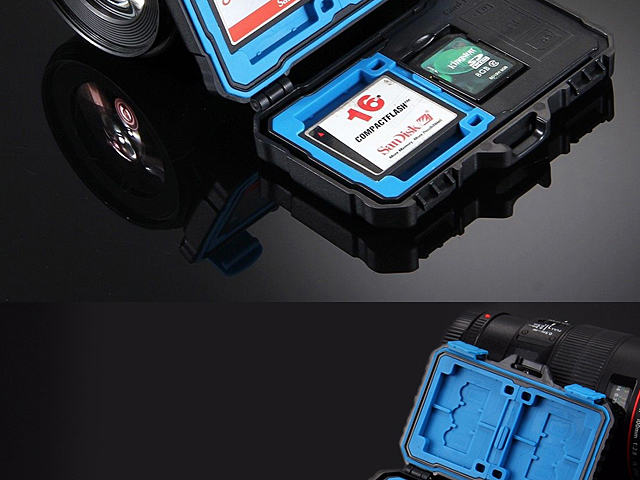 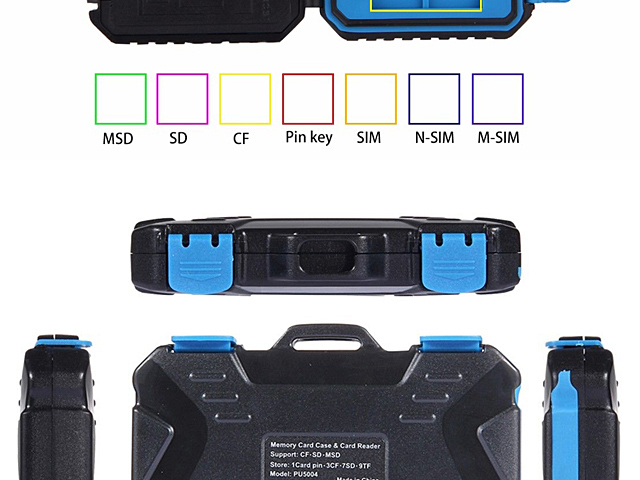 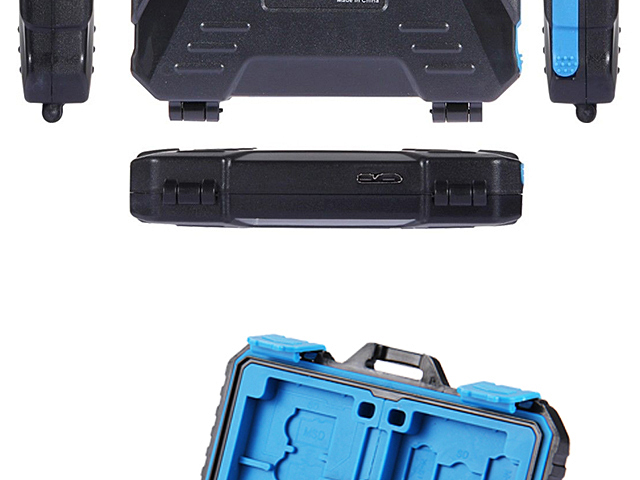 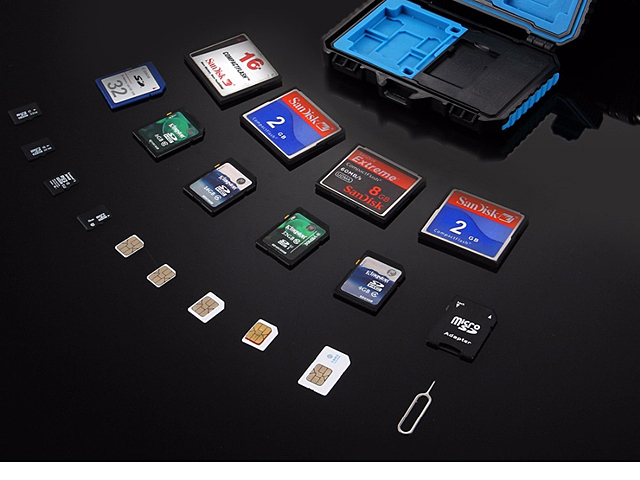 USB 3.0 Card Reader + 22 in 1 Memory Card Tough Case accesses most common mobile memory cards at this moment. 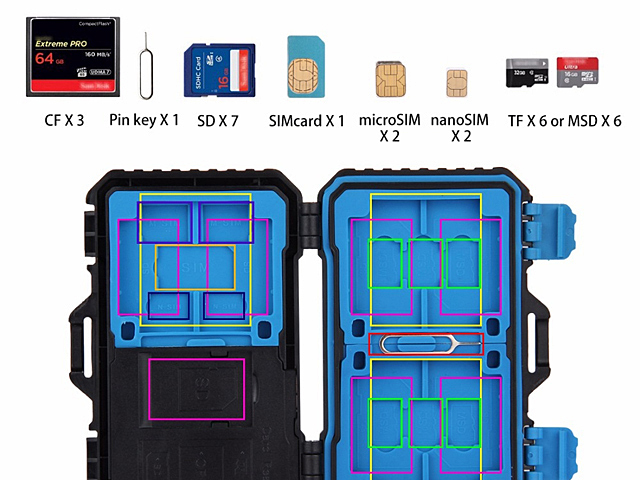 Allow you store 1 x Standard SIM + 2 x Micro-SIM + 2 x Nano-SIM + 3 x CF + 7 x SD + 6 x microSD + 1 x Card Pin. USB 3.0 Card reader for reading microSD / CF / SD card. 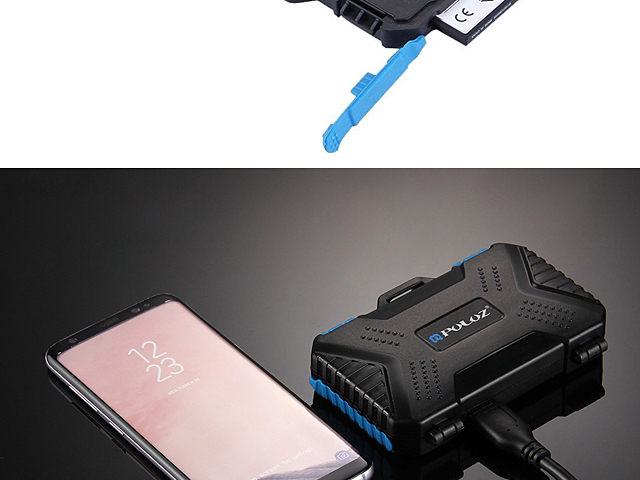 With a 3-in-1 USB cable, USB 3.0 + micro USB 2.0 + Type-C to micro USB 3.0, enable microUSB/Type-C Smartphone/Table with OTG function. 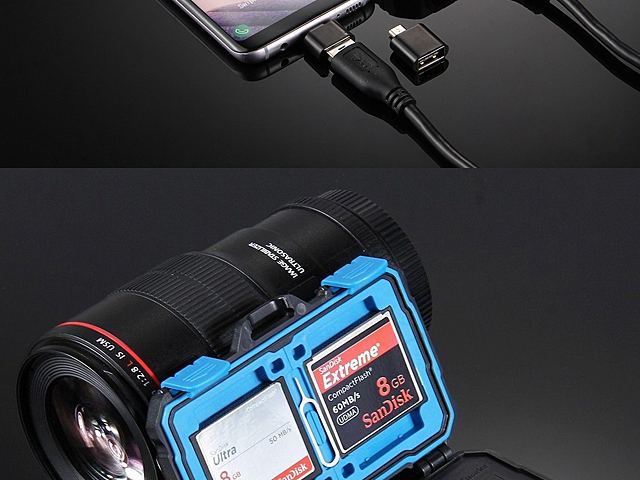 It's convenient to use when traveling.